This recipe is one of the most brilliant ideas I’ve ever heard of. 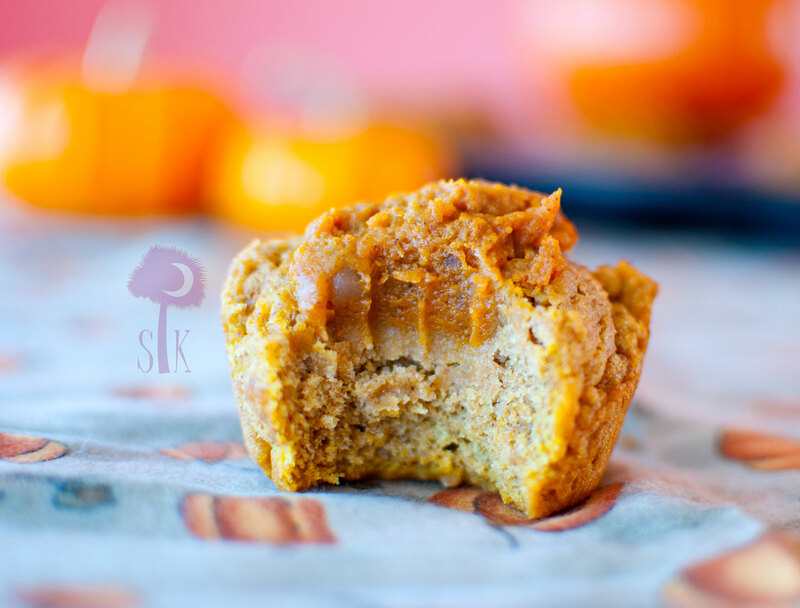 These slightly sweet, super moist pumpkin pie muffins are 100% vegan, fairly low in sugar, and are made with whole wheat flour. Oh, and did I mention they are also filled with a homemade pumpkin pie filling? 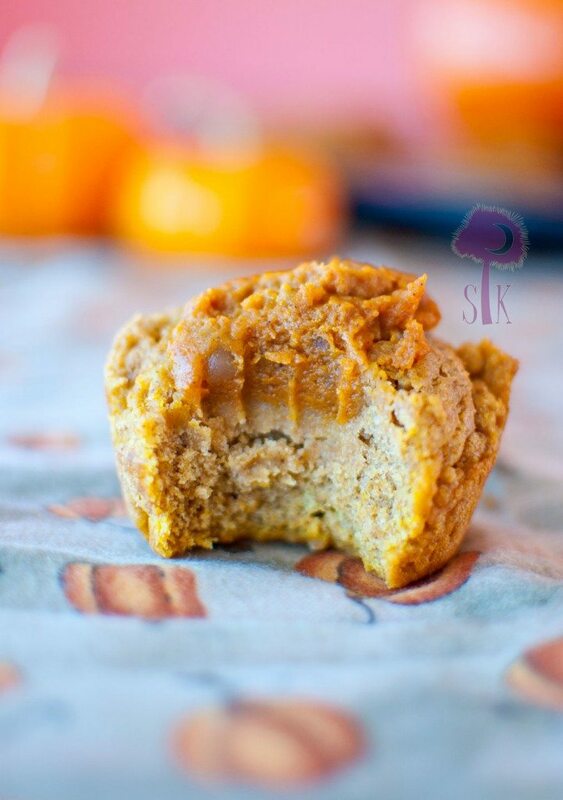 Not mixed with a pre-made, chemical infused canned pumpkin pie filling, but STUFFED with a pumpkin mixture that tastes exactly like pumpkin pie that can easily be thrown together in a matter of minutes. This idea makes me want to scratch my head and scream, “Why didn’t I think of that?! ?” Because I so totally didn’t. GAH! I love that man. How could I have never seen these before? How could I have never thought of these before?!? These had to have been made before by someone, right? I’m sure they have, but I couldn’t find a recipe like this anywhere on the interwebz. Once Will put the idea in my head, I just knew that I was going to Google the term and find that this recipe had been made a gazillion, million times before by everyone and their sister’s cousin’s baby daddy, just like the absolutely delicious cheesecake filled pumpkin muffins that you see everywhere nowadays. I sure didn’t find a one. 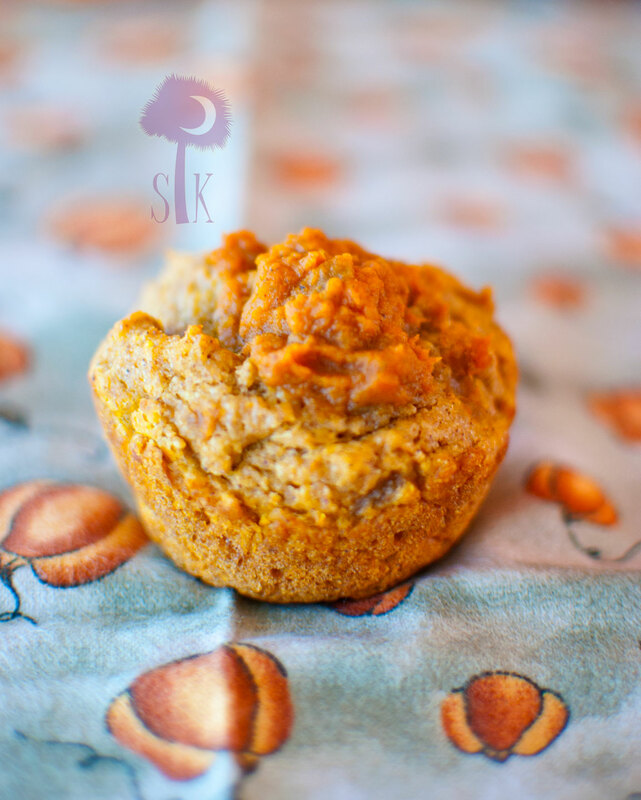 I did find recipes called “Pumpkin Pie Filling Muffins” or “Pumpkin Muffins made with Pumpkin Pie Filling”, but I did not find a muffin recipe that actually filled the muffins with pumpkin pie filling. Clearly, I’m not at all saying that this hasn’t been done before, but I am saying that I’ve never seen it. What’s your favorite pie filling? Does your husband/S.O. come up with recipe ideas? Which of you cooks more? Sift flours, baking powder, 1/8 cup stevia, pumpkin pie spice, cinnamon, cloves, and salt in a bowl. In a separate bowl, combine 1 cup pumpkin puree, 1/4 cup brown sugar, 2 tbsp apple butter, almond milk, and 1/4 cup melted coconut oil and stir until well incorporated. Gently fold the dry ingredients into the wet (I did this in thirds) stirring just until each third is combined. DO NOT OVERMIX!!! Using an ice cream scoop, scoop the batter into a muffin tin sprayed with non-stick spray. Let rest while you make the pie filling. In a separate bowl, add 3/4 cup pumpkin puree, 1 tsp Stevia, 1 tbsp brown sugar, 2 tbsp apple butter, 1 tbsp melted coconut oil, and 1/8 tsp salt and stir until well combined. Scoop about 2 tsp or so of pie filling mixture onto the top of each muffin. Bake for 18-20 minutes or until a toothpick comes out clean. Let cool completely. Hi this looks lovely and I will be making them tomorrow! Not sure what the direction SEPARATED means though in regard to pumpkin puree. Could you enlighten me please? Also hope you don’t mind but I pinned the photo. You can see it here and I will delete it if you want me to. Hi, Liz! First off, thank you so much for asking about the photo. I really appreciate it. It is absolutely fine that you pinned it, in fact, I *LOVE* that you did! Thank you so much! 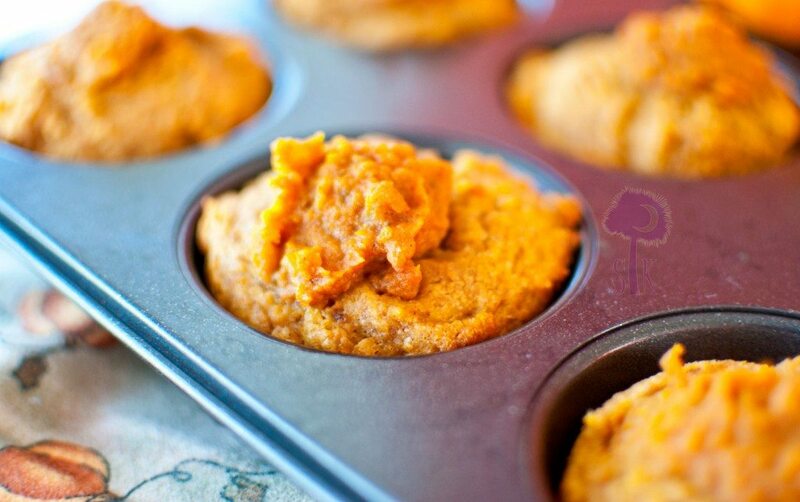 As for the word SEPARATED in the recipe, it really just means keep the two measurements separate from each other because you will need one bit for the muffin batter and the other bit for the pumpkin filling. 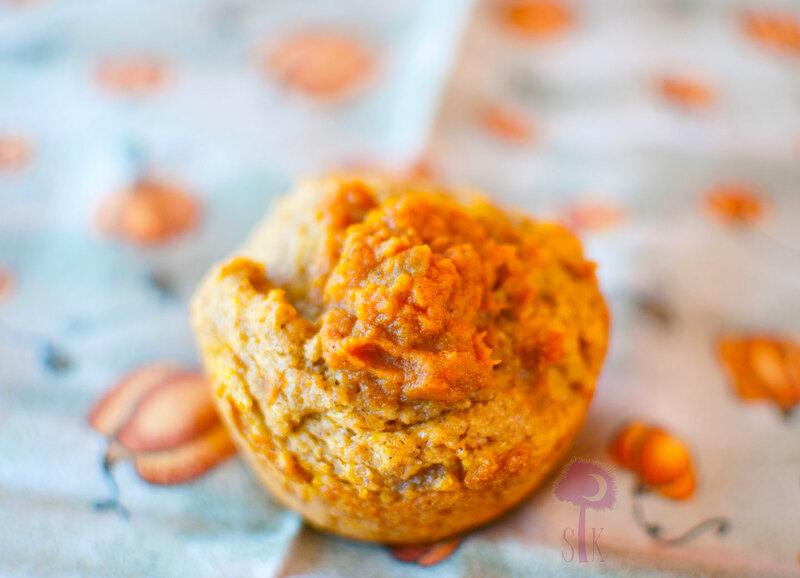 So the 1 cup pumpkin puree + 3/4 cup pumpkin puree, separated means you will be using 1 cup of the puree to make the muffin mix and the other 3/4 cup for the filling. Make sense? You are going to LOOOOOVE these, I promise! My husband and in-laws ate 6 of them before I could get the photos taken! Let me know how they turn out! Thank you! Also just wondering what plugin you are using to stop people using the “right click” to copy from your page. Not a problem. The plug-in I use is called WordPress Protection. I noticed a lot of people were stealing my photos, especially for my Pineapple Upside Down Cake Daiquiri (https://slimpickinskitchen.com/2012/05/pineapple-upside-down-cake-daiquiri/) so I had to start watermarking my pics as well as protecting them with that plugin. Thanks for stopping by! I hope you come back (even though not all of my recipes are vegan)! It is a brilliant idea, I’ll give you that! I’ve got pumpkin floating around…..
Pumpkin-pie filled muffins? That sounds perfect! Do you have any idea what the measurement would be if using sugar instead of Stevia? Thanks!! Hi, Amy! All of the conversion charts I looked up said that 1 tsp of stevia equals 1 cup of sugar, but I do not at all find that to be true. The original muffin recipe I adapted called for 1 & 1/4 cups granulated sugar, but I changed it to 1/4 cup brown sugar plus 1/8 cup stevia (6 tsp). If you want to use white sugar instead of stevia, I would think that it should be roughly 1 cup, BUT if I were you I’d start with about 1/2 cup first, then taste the batter and see if it’s sweet enough for you, and if it’s not then continue adding a bit of sugar until you get the sweetness you desire. Sound good? Also, will you let me know how much you end up using so I can add it to the recipe? Thanks so much! Ha! I just found another website that said 12 tsp of Stevia equals a cup of sugar, so I don’t think anyone really knows! These look delicious. Any suggestions for flour substitutions? I’m trying to avoid wheat, and I’m not much of a baker to begin with. Not sure if the ratios would be the same. Thanks! Hey, Jen! You can absolutely sub all purpose flour for this recipe and the ratios should definitely be the same. Self rising flour would also work, just leave out the baking powder. I bet coconut flour would also work too, but I haven’t tried it so don’t quote me on that. Any substitution recommendations for the apple butter? I don’t have any … this recipe looks so delicious! Hey, Sarah! Regular old Applesauce should be just fine, but if you don’t have that either I’d add any other kind of puréed fruit you might have on hand OR maple syrup maybe?!? Just use like 2.5-3 tablespoons for the batter and then 1 tablespoon for the filling. Again, I haven’t tested any of those methods, but that’s what I’d do if I didn’t have the apple butter. Let me know how that turns out! Is there anything I can substitute the coconut oil for? Thanks. Hi, Nora! You should be able to sub with any other oil you have on hand i.e. canola, vegetable, etc. I haven’t tested it, but I’m almost certain that will be fine. Will you let me know how they turn out? One more thing…I’d just omit the oil completely from the filling. I don’t think you’ll need it at all for that! Intead of wheat flour ,could I use a substitute of GFREE Almond, or Rice Flour? Hey, Melanie! I’ve never cooked with any of those flours (I totally plan to do so), but if you’ve substituted with them before with no issues then I think you’ll be fine. Especially with the GF flour. Will you let me know how they turn out if you make them? Thx for your response! Would you use the same measurements for the oil? 1/4 cup? Thx. Actually, I’d probably use a scant (like a tablespoon or so less) 1/2 cup. The coconut oil measures out to somewhere around there once melted. Glad you asked that! Please let me know how they turn out! Hey, Amber, I’m Karen Bigg’s Mom. 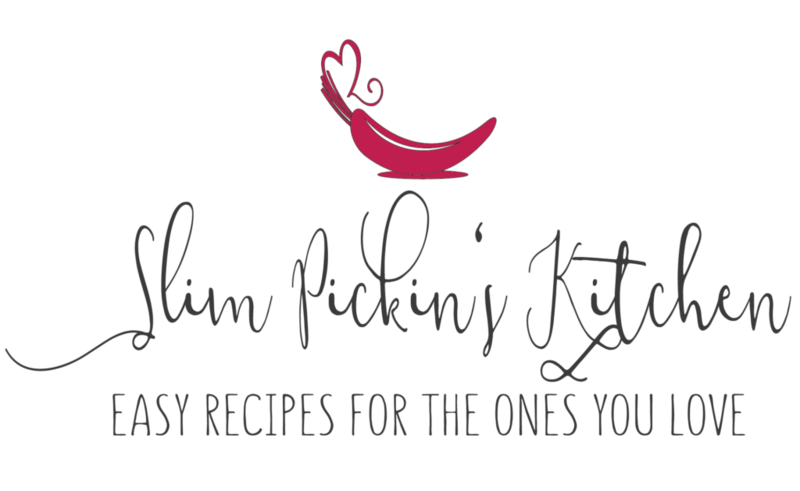 I have so many recipes that I have created over my 63 years. How do I start a blog like yours. Hi!!!! Yay! Thanks for stopping by! Oh, my goodness…where to begin?!? I’ll type up some suggestions for you and email it to you. Does that work? Also, I’m a sugar addict so I try to stay away from it as much as possible plus I one of my taste testers is diabetic so my recipes definitely work for him too. 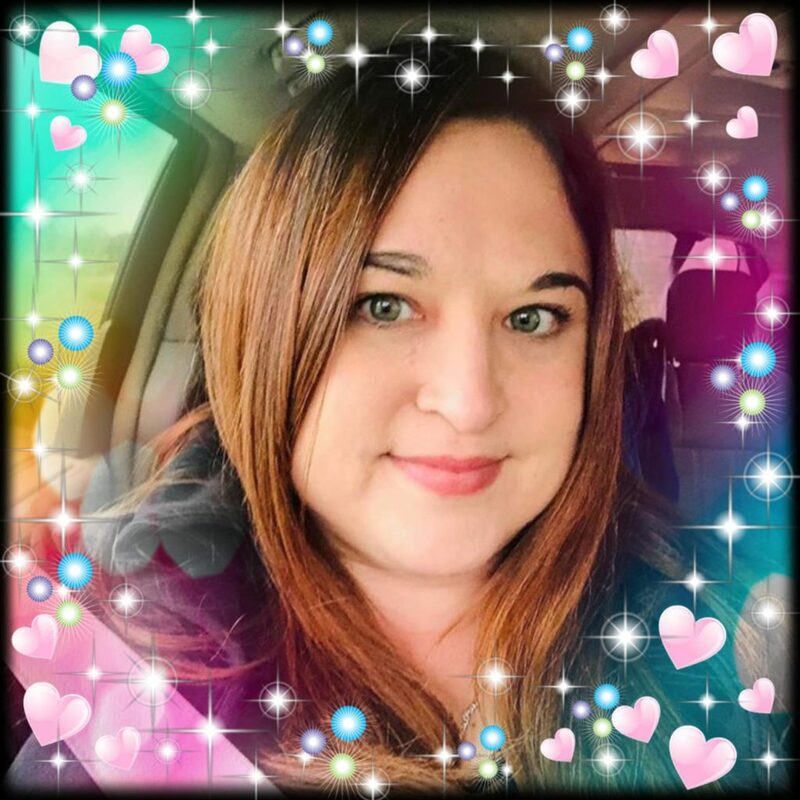 Hi Amber – I want to try this receipt – sounds so yummy! Is the pumpkin puree from cooked or raw pumpkins? Thanks! Hi, Sally! I used canned puree, but if you make your own be sure it’s cooked! Let me know how they turn out! Recipe! I want to try the recipe not receipt! Thanks! These really sound amazing, but I would prefer not using brown sugar [any sugar] – have you mixed stevia, or something like coconut sugar, with molasses as a substitute for brown sugar? Hi, Barry! No I haven’t tried using a brown sugar substitute, but I would LOVE to see how it would work. I don’t have molasses or coconut sugar on hand, but if I did I would absolutely test it out. Is this something you’ve done before? I’d love to test this out and plan to get/order some of those ingredients as soon as possible. In the mean time, if you happen to give it a go would you please let me know how it works out? I’d love an alternative to brown sugar! Thanks so much! I LOVE this idea. I am going to try to make an ultra-low-carb version using just stevia and a bit of molasses for flavor (in my world, 30g of carbs per day is all you get). By the way, I’m kind of a WordPress ninja. Could I help you figure out what’s going wrong with your website? I’m seeing errors from two different plugins on your posts. Really?!?!? Thanks for letting me know. I’ll check it out as soon as I get back home. Thanks again! Yep — one from what looks like a nutrition related plugin, leaving a big ugly error at the top of your post(s), and one from the CommentLuv plugin (when you go to post a comment). Hopefully you just need to upgrade the plugins or something! It looks like WordPress needed to be updated. I went ahead and did that and I don’t see any issues anymore. Will you let me know if you do? Thanks so much again!!! Personally I find your plugin very annoying, seeing as I like to copy-paste recipes for offline use. It also won’t stop anyone with a minimum of web knowledge from copying anything on your page. Just so you know. I just finished making these muffins and they are spectacular! I used homemade apple sauce instead of apple butter and subbed coconut sugar instead of stevia; it came out perfect! Thank you so much for this healthy (though it doesn’t taste like it) recipe that my kids will fight over. Awesome!!! So happy you liked them, and I’m totally going to sub w/ coconut sugar instead of stevia next time too. Great idea!